Until the U.S. began to normalize relations with Cuba last year, it was difficult to get to the island. You could buy an expensive ticket to travel with a group or fly through another country. It was even harder to use miles to fly there. The best option was to fly to Mexico, the Caribbean or South America on miles and then buy a cash ticket to Cuba. Over the past year, charter flights flying direct to Cuba became another option. But they are relatively expensive and tickets are impossible to buy with miles. Some commercial flights are available, but you have to fly through a third country on a foreign carrier, making routing complicated and tickets expensive. If, for example, you are in New York, you can get to Cuba by flying on Air Canada via Toronto. Those tickets cost at least 65,000 miles roundtrip in economy. But you’ll soon have a lot more options. The United States Department of Transportation (DOT) recently announced that ten domestic airlines have been approved to operate commercial flights directly from the U.S. to Cuba: Alaska Airlines, American, Delta, Frontier, JetBlue, Silver Airways, Southwest, Spirit, Sun Country and United. In theory, you still can’t visit Cuba as a tourist. You have to claim one of the 12 approved reasons for your trip. Travelers have reported that it’s not difficult to get into the country, though. More details are available from the U.S. Department of State and American Airlines. Which Airlines Will Fly to Havana? Most flights will originate in Florida, which makes sense given the large Cuban community there. In addition to the six daily flights out of Miami and Fort Lauderdale, and once daily flights out of Orlando and Tampa, there will be direct flights to Havana from Los Angeles, Charlotte, Atlanta, New York and Houston. American, JetBlue, Southwest and Frontier, as well as Sun Country and Silver Airways, will also offer flights to other cities in Cuba. Out of Miami, American will offer two daily flights to Santa Clara, Holguin and Matanzas, and one daily flight to Camaguey and Cienfuegos. That makes a total of 13 daily flights to Cuba for American, the most of any carrier. 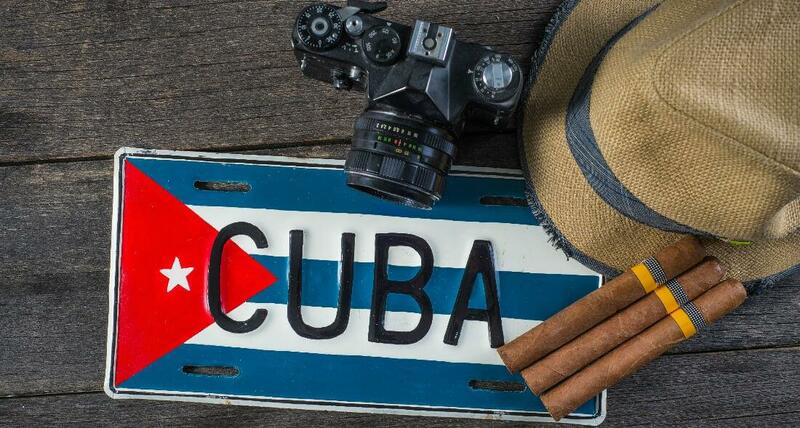 Frontier Airlines is the only airline that will offer direct flights to Cuba from Chicago, with daily flights to Santiago de Cuba and one flight to Matanzas on Saturday. It will also offer service from Philadelphia to Camaguey on Monday, Wednesday, Friday and Saturday; to Santa Clara on Tuesday, Thursday and Sunday; and to Matanzas on Saturday. Out of Fort Lauderdale, JetBlue will offer daily flights to Camaguey, Holguin and Santa Clara, and Southwest will offer two daily flights to Matanzas and one daily flight to Santa Clara. Sun Country will fly from its hub in Minneapolis to Santa Clara on Sunday and to Matanzas on Saturday. Silver Airways, which has a small fleet of 23 planes, will also offer flights from Fort Lauderdale to various cities in Cuba. While you can earn United and JetBlue miles while flying on Silver Airways, you cannot redeem miles for award flights on the carrier. Can You Get There With Miles? As of now, American is the only carrier selling tickets to Cuba. Flights to Havana haven’t been listed yet, but tickets to other Cuban destinations can be purchased with AAdvantage miles. The airline is still working out the kinks, so you’ll have to call to book those award flights. Cuba is part of American’s Caribbean region. That means round-trip off-peak economy award seats are only 25,000 miles. Standard round-trip saver tickets are 30,000 miles in economy or 50,000 in first. If you can’t find saver availability, you’ll pay a hefty 55,000 miles for economy and a whopping 100,000 for first. With the exception of Silver Airways, the other carriers flying to Cuba all have frequent flyer programs. Presumably once tickets go on sale, you’ll be able to purchase them with miles. The low-cost carriers—JetBlue, Southwest, Spirit, Sun Country and Frontier—all have revenue-based frequent flyer programs. The cost of their award tickets are based on the cash price of the flight instead of regions or distance. If they offer reasonably priced tickets to Cuba, you’ll pay a reasonable number of miles or points for an award ticket. Since the other airlines—United, Delta and Alaska—have yet to offer tickets to Cuba, it’s hard to know exactly what they’ll charge. But, assuming that Cuba will be lumped into the Caribbean, we can make some guesses. United saver level award flights from the U.S. to the Caribbean are 35,000 miles roundtrip in economy and 60,000 in first. You better hope you can find those tickets because standard level economy seats cost 75,000 miles and first is 140,000. Delta doesn’t publish an award chart, but you can fly to other Caribbean destinations for as little as 35,000 miles roundtrip in economy. That’s the low end, though, and you’ll probably end up paying more, particularly if you can’t be flexible with your travel dates. Alaska doesn’t currently fly to the Caribbean, but it does offer flights to Mexico, including Cancun, for 35,000 miles roundtrip in economy and 60,000 in first. Once all of the airlines have tickets for sale it’ll be easier to know which carrier is offering the best deals for award flights to Cuba. My best guess, though, is that American will be the go-to choice among the traditional carriers since it will offer the most flights overall and has the cheapest saver economy tickets. It’s also worth keeping an eye on the low-cost carriers. They might edge out the competition, particularly if they offer periodic discounts on flights to Cuba.